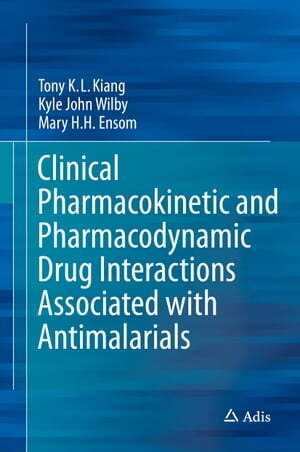 Collins Booksellers - Clinical Pharmacokinetic and Pharmacodynamic Drug Interactions Associated with Antimalarials by Kyle John Wilby, Mary H.H. Ensom & Tony K.L. Kiang, 9783319105277. Buy this book online. This comprehensive review provides a systematic, unbiased analysis, critique and summary of the available literature and generates novel clinical decision-making algorithms which can aid clinicians and scientists in practice management and research development. Potential mechanisms for the identified drug interactions are deduced from available preclinical and in vitro data which are interpreted in the context of the in vivo findings. Current limitations and gaps in the literature are summarized, and potential future research directions / experimentations are also suggested. In addition to the main objective to review the available clinical pharmacokinetic and pharmacodynamic drug interactions associated with WHO-recommended antimalarial drugs on the market today (i.e. chloroquine, amodiaquine, sulfadoxine, pyrimethamine, mefloquine, artemisinin, artemether, artesunate, dihydroartemisinin, artemotil, lumefantrine, primaquine, atovaquone, proguanil, piperaquine and quinine), this book also provides succinct chapter summaries on the epidemiology of malaria infection, diagnosis and therapeutics, in vivo pharmacology and chemistry, preclinical pharmacology, in vitro pharmacodynamics, in vitro reaction phenotyping, and in vitro drug-drug interaction data associated with the identified antimalarial drugs.